This is this summer's final Lyons Last Thursdays / Arts Stroll where at around 4:30 - visitors & locals alike need to be on the lookout for costumed characters handing out today's map and a special FREE Lyons Passport! character & exchange it for a special $10 Voucher (limit 2 per family) that can be spent - same as cash - at the listed local businesses, restaurants & service providers. Each voucher is valid Thursday through the following Monday. Businesses are encouraged to stay open late (until 9PMish) & each makes their own arrangements to showcase, promote, sponsor or celebrate an artist(s) or art form(s) of any genre! Tall “Art" flags, maps & door signs will help guide the way. 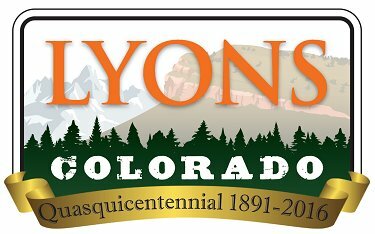 "Lyons Last Thursdays / Arts Strolls" have been made possible through the Lyons Chamber, the Town of Lyons, & the Lyons Arts & Humanities Commission (LAHC), in an effort to stimulate an arts buzz & commerce in town. The hope is that locals & visitors alike will linger longer in Lyons & then come back again! The historic Lyons Depot building was selected as the winner of Downtown Colorado, Inc.’s 2016 Governor’s Award for Downtown Excellence, for Best Adaptive Reuse or Rehabilitation in a Small Community Category. The winners of the 2016 Governor’s Awards were recognized on September 22, at DCI’s annual statewide conference, Vibrant Colorado Downtowns, held in Pueblo, CO. The building’s nomination detailed its history as a train depot turned library, and the 2013 flood rehabilitation process that transformed the building into government offices and community meeting space. Other categories for the Governor’s Awards for Downtown Excellence include Best Use of Public Space; Best New Addition to Downtown; Best Event, Festival or Reoccurring Activity; Best Creative Reuse in Large Community; Colorful Colorado Award; and Downtowner of the Year. The Town of Lyons Parks and Recreation is pleased to offer open volleyball in our new sand volleyball court at LaVern M. Johnson parks weekly. We hope a good amount of folks can make it every Thursday to allow for a fun competition. The Town of Lyons Parks and Recreation is pleased to offer open corn hole “bags” games on Thursday evenings weekly in the new LaVern M. Johnson Park. We hope a good amount of folks can make it out every Thursday to allow for a fun competition. 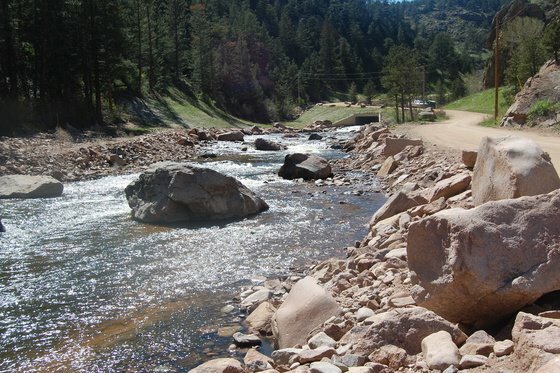 Boulder County, in partnership with the City of Longmont, has completed restoration of a 1,960 foot segment of North St. Vrain Creek that was scoured and degraded by the 2013 Flood. The North St. Vrain Creek Collaborative Restoration Project is the first stream restoration project implemented under the Watershed Resilience Pilot Program.